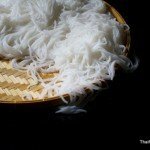 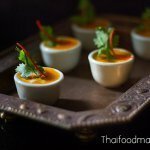 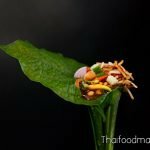 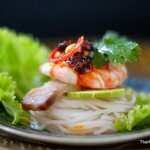 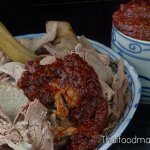 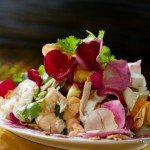 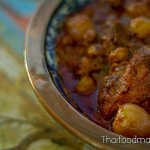 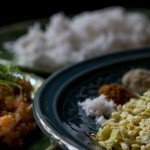 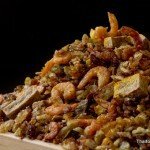 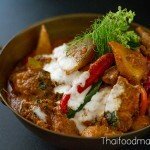 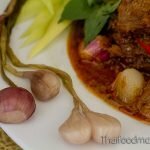 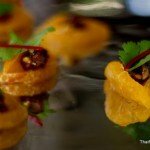 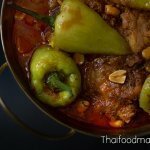 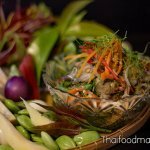 Thaifoodmaster’s rich collection of free online-articles, research papers, reports, and news on virtually every aspect of Thai food preparation, history and the wisdom of Thai culinary arts. 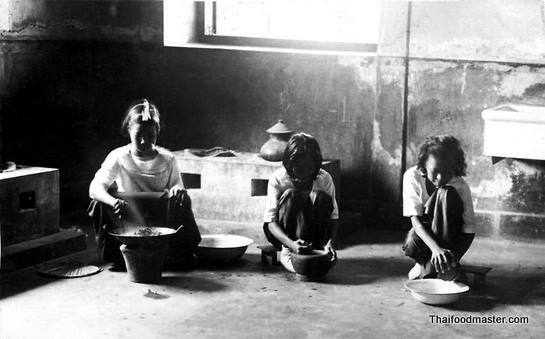 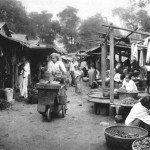 Thai Culinary Identity Construction From The Rise of the Bangkok Dynasty to Its Revival. 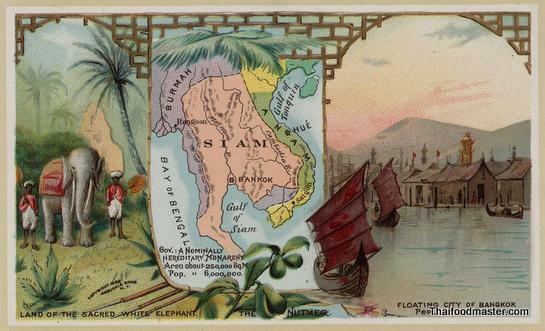 A Thesis Submitted For Degree of Master of Arts Department of History National University of Singapore. 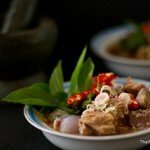 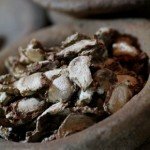 An Ancient Siamese Recipe for Tom Yum Soup (First Published in 1890). 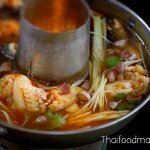 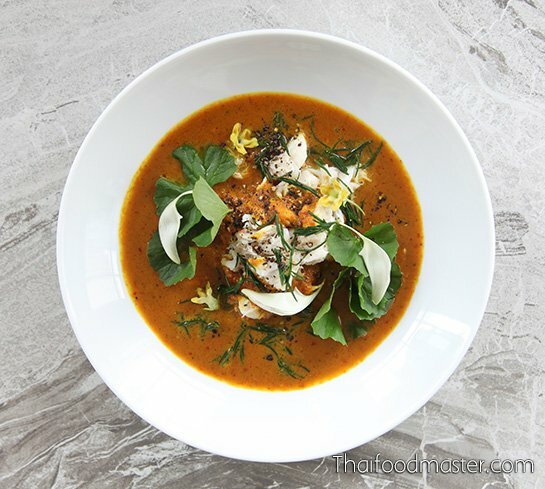 Sour Spicy Tom Yum Soup with Snakehead Fish, Roasted Chili Jam and Green Mango (Dtohm Yam Bplaa Chaawn, ต้มยำปลาช่อนแบบโบราณ อย่างหม่อมซ่มจีน ราชานุประพันธุ์ ร.ศ.๑๐๙) Tom yum soup from the late 19th-century Siam to present days. 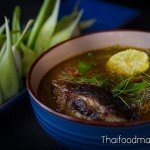 Including a step-by-step recreation of tom yum soup with snakehead fish (dtohm yam bplaa chaawn, ตัมยำปลาช่อน) as recorded by Maawm Sohm Jeen (Raa Chaa Noopraphan) (หม่อมซ่มจีน, ราชานุประพันธุ์) in her book “Tam Raa Gap Khao” (ตำรากับเข้า), published in 1890 (2433 BE, 109RE). 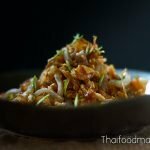 Battered and Deep-Fried Unripe Rice and Grated Coconut Banana Rolls (ข้าวเม่าทอด ; khaao mao thaawt) Deceptively simple, the recipe for battered, deep-fried unripe rice and grated coconut banana rolls (khao mao thaawt, ข้าวเม่าทอด) is actually quite challenging to master. 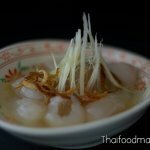 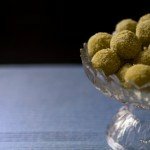 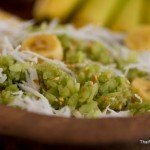 Like so many Thai dessert recipes, this seemingly straightforward dish has a complex character. 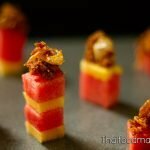 Fried Dried Fish with Watermelon (ผัดปลาแห้งแตงอุลิต ; phat bplaa haaeng dtaaeng oo lit) Here is a summer dish that showcases the wisdom of creating complex flavors through simplicity. 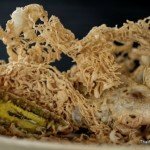 Using just lightly salted semi-dried snakehead fish, golden deep-fried shallots and a sweetening agent (either sugar or coconut), we create a condiment that partners perfectly with pieces of sweet juicy watermelon. 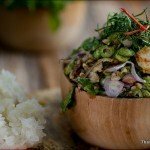 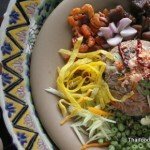 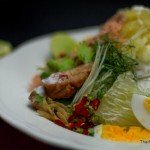 (ยำผิวส้มซ่า ; yam phiu sohm saa) This salad recipe is adapted from the book “Maae Khruaa Huaa Bpaa” (แม่ครัวหัวป่าก์), published in 1971 as a memorial for Jao Jaawm Phit (เจ้าจอมพิศว์). 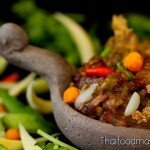 Jao Jaawm Phit was the daughter of Thanpuying (Lady) Plean Passakornrawong, who was a pioneer of noble Thai cuisine.